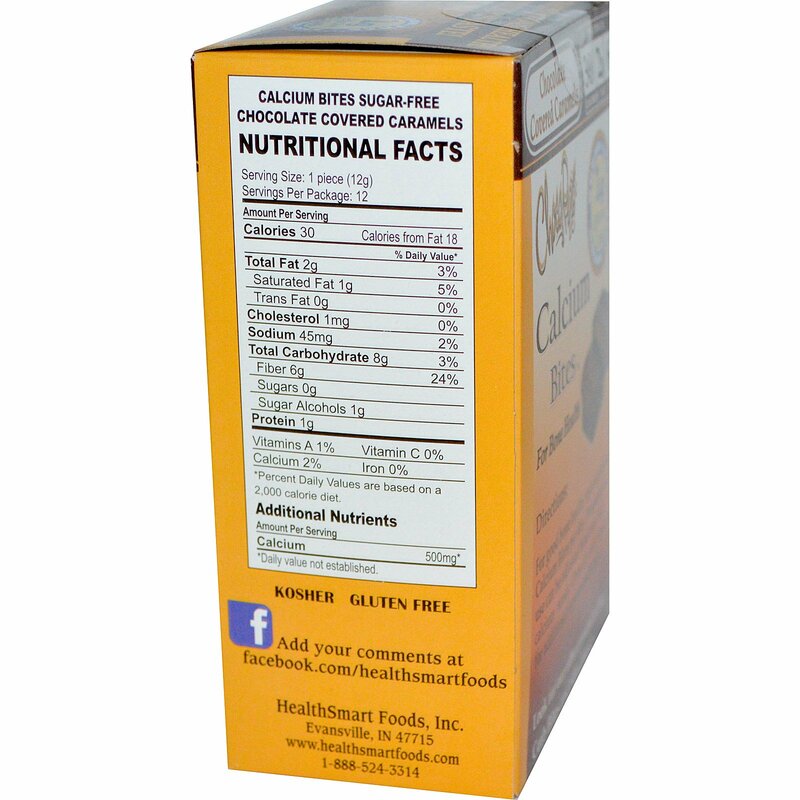 מותגים A-Z HealthSmart Foods, Inc.
על ידי HealthSmart Foods, Inc.
מוצר זה רגיש לחום. הוא זמין לרכישה רק בין ה-1 באוקטובר עד ה-14 ביוני. אנו מפסיקים את אספקת המוצר הזה באופן זמני בחודשי הקיץ, מה-15 ביוני עד ה-30 בספטמבר, משום שהוא ​עלול להתמוסס או להתקלקל במהלך ההובלה. 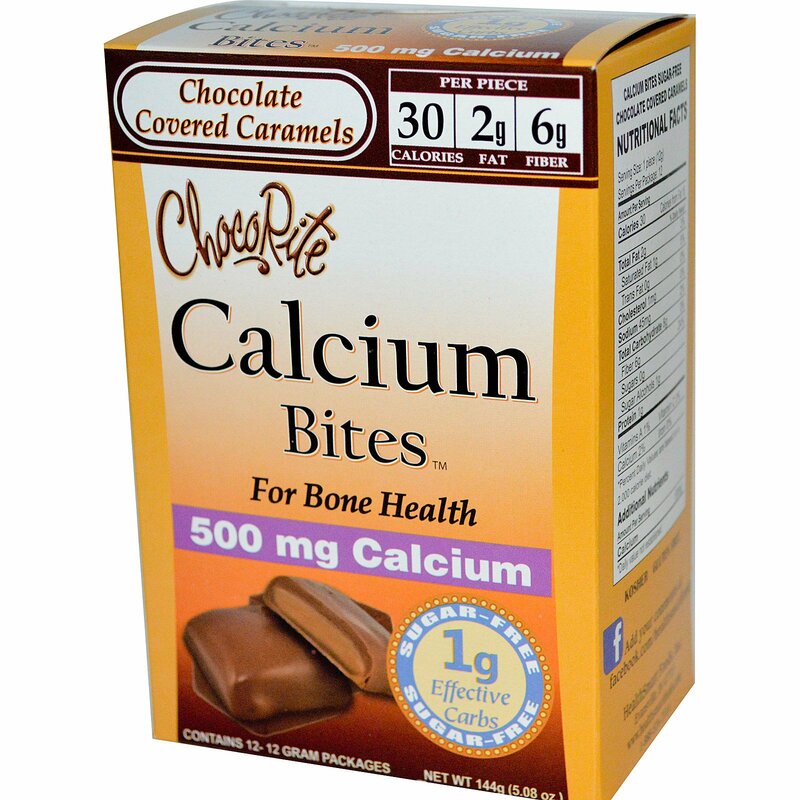 For good bone health, enjoy up to two Calcium Bites per day. Frequency of use can be adjusted based on daily calcium needs. Consult your physician for additional recommendations. Oligofructose, erythiritol, chocolate liquour, fractionated palm kernel oil, cocoa butter, milk protein concentrate, maltodextrin, heavy cream, glycerine, calcium carbonate, milk fat, sodium caseinate, natural and artificial flavors, isomalt, salt, soy lecithin, disodium phosphate, sucralose. Allergy Alert: Contains milk and soy. Made in a facility that also produces products containing eggs, peanuts, and treenuts. Keep out of reach of children. Pregnant or lactating women should consult with their doctor before using any product.